Dimensions: 17" x 21" x 26"
The Silentaire Val-Air 50-T-Aire will be the best choice for those looking for a powerful yet quiet and compact air compressor. This small unit from Silentaire Technology provides a unique solution for high volume professional airbrush artists. Like any other Silentaire compressor, this device delivers extraordinary operational efficiency along with the silent running operation. The company is a global leader in the manufacturing of quiet air compressors and its employees constantly investigate different approaches in designing, engineering, and manufacturing of Silentaire compressors. That's why their air compressors help the company stay at the cutting edge of technology and meet the highest standards of customers. The Val-Air line that includes the Val-Air 50-T-Aire is popular among airbrush customers due to the noiseless and completely automatic operation of its compressors. With a pressure switch controlling the air pressure within the tank, you can be sure the compressor won't overheat. As the pressure reaches the maximum level, the switch automatically turns the motor off. And after that, when the pressure falls below its down limit, the switch will automatically start the motor again. a carrying handle or wheels for balanced carrying and transport. 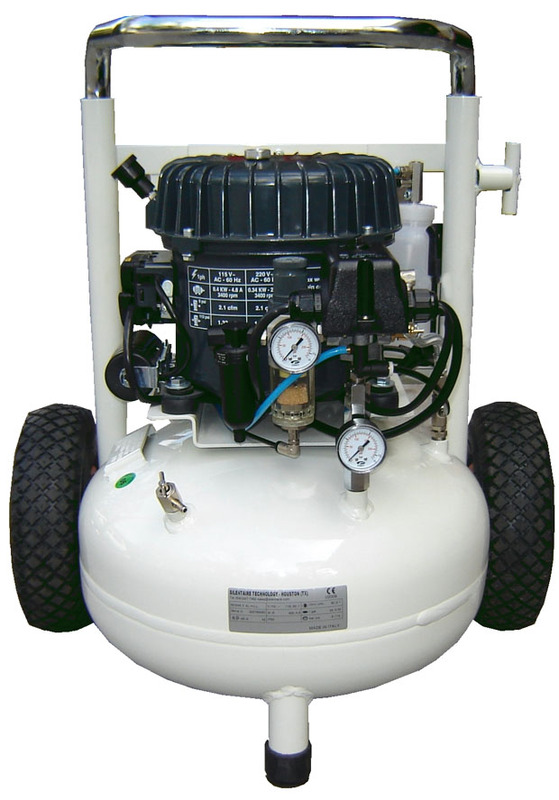 This air compressor model stands out from other Val-Air compressors in terms of size and compactness. Its telescoping handle provides better portability when modified into an added leverage and allows for compact storage and transportation when collapsed. Apart from that, the Val-Air 50-T-Aire features a cast iron motor built for durability and an efficient cooling fan on the side to dissipate heat more efficiently. On top of that, the compressor comes with an improved air intake filter and has a high-quality dual air filtration system on the output. All that makes airbrushing even more comfortable and enjoyable. The packing also includes an oil bottle type ROLOIL - SINCOM/32E, instruction manual, and a tank certificate. In addition to everything else, the Val-Air 50-T-Aire carries a warranty for a period of 1 year from the date of purchase. It covers a free repair and replacement of parts if the manufacturer recognizes them as defective. However, the guarantee doesn't include the electric parts and worn parts of the compressor. 27" x 22" x 22"